This week we've got a new member deal perfect for anybody off on their travels. We're offering a Free Pebble Portable Phone Charger with Built-In Speaker from IWOOT. See the easy steps below and we will show you how. All you need to do to claim this amazing deal is follow the steps below. Be quick, though, this deal won't last forever! Purchase your Pebble Phone Charger - get the money back! All new members have to do to claim their Free Pebble Phone Charger (with built in speaker) is follow these four easy steps! 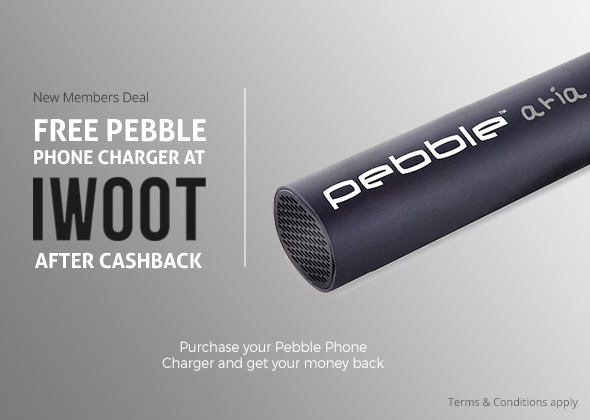 Click 'Get Cashback' to go through to IWOOT and purchase your Pebble Portable Charger with Built-In Speaker.. Enjoy your listening to your favourite songs, on your fully charged phone, knowing you'll be receiving 100% cashback. We hope you are well and you had a great weekend. 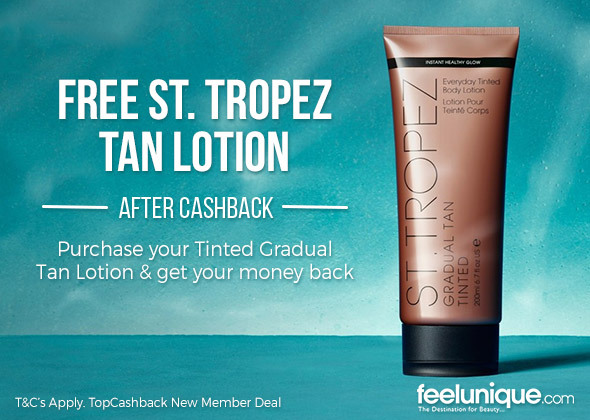 To celebrate the start of summer we're offering Free St. Tropez Tinted Gradual Tan Lotion for new members signing up to TopCashback. When new memebers purchase their St. Tropez Tinted Gradual Tan Lotion through feelunique.com they will be rewarded 100% cashback! See the easy steps below and we will show you how. All new members have to do to claim their free St. Tropez Tinted Gradual Tan Lotion is follow these four easy steps! Members can enjoy a healthy touch of bronze knowing they'll be recieving 100% cashback. We hope you are well and you had a great weekend. This week we've got a really fruity new member deal perfect for celebrating the start of the tennis season. We're offering free Pimms and Lemonade to new members signing up to TopCashback. This is one of our snap and save deals meaning purchases from any instore retailer (excluding Scotland) are eligible. All members have to do is submit a snap (photo) of their receipt. See the easy steps below and we will show you how. 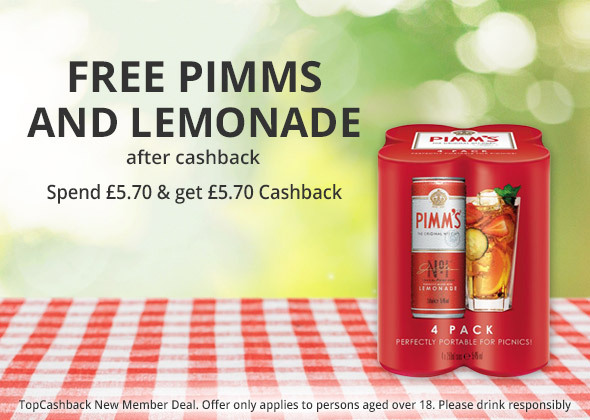 FREE Pimms and Lemonade after Cashback! 100% Cashback up to £5.70 when buying Ready to Drink Cans of Pimms. All new members have to do to claim their free Pimms and Lemonade is follow these four easy steps! A new member clicks through to our landing page and signs up to TopCashback; we will take them to the snap and save offers page. Members should upload a photo of their receipt, making sure the date and time of purchase, the store name and the product eligible for cashback are clearly shown. Members can then submit their snap either online or via our Mobile App on iOS or Android. We hope you are well and you had a great weekend. This week we've got a new member deal perfect for all you Mum's out there. 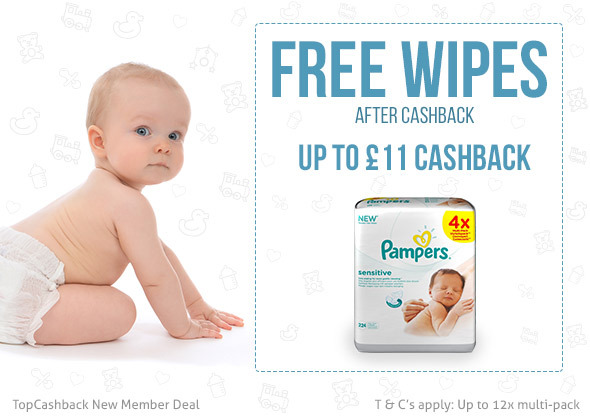 We're offering free Pampers Wipes to new members signing up to TopCashback. This is one of our snap and save deals meaning purchases from all UK stores are eligible. All members have to do is submit a snap (photo) of their receipt. See the easy steps below and we will show you how. All new members have to do to claim their free Pampers Wipes is follow these four easy steps! Members purchase their Pampers Wipes as they would normally, they then head over to our snap and save offers page on the site or on the app. Members should then select the free Pampers Wipes offer and click 'continue'. Members should upload a photo of their recipent, making sure the date and time of purchase, the store name and the product eligible for cashback are clearly shown. We hope you are well and you had a fantastic weekend. This week we've got a new member deal to celebrate the glourious British weather. We're offering a free disposable BBQ to any new members. This is one of our snap and save deals meaning purchases from all UK stores are eligble. All members have to do is submit a snap (photo) of their reciept. See the easy steps below and we will show you how. 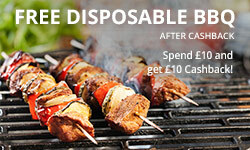 All new members have to do to claim their free disposable BBQ is follow these four easy steps! They select the free disposbale BBQ offer and click 'continue'. Members should upload a photo of their recipent, making sure the date and time of purchase, the store name, and the product eligible for cashback are clearly shown. We hope you are well and you had a great weekend. This week we've got a new member deal perfect for any football enthusiasts. We're offering a free football from SPORTSDIRECT.com up to the value of £10. We are running this deal to celebrate this years UEFA EURO league. All you have to do to claim this deal is follow the easy steps below. All new members have to do to claim their free Football is follow these four easy steps! 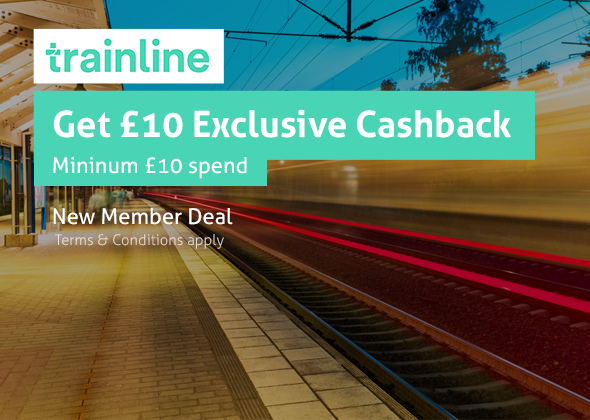 Members can enjoy a game of football knowing they’ll be given up to £10 cashback! We hope you are well and you had an exciting weekend. This week we've got a new member deal perfect for anyone who is still looking for a Father’s Day gift. We're offering a free £10 gift from iWOOT. IWOOT have everything from portable phone speakers through to garden tools, so there’s something on there to suit everyone’s dad. All you have to do to claim this deal is follow the easy steps below. All new members have to do to claim their free IWOOT gift is follow these four easy steps! 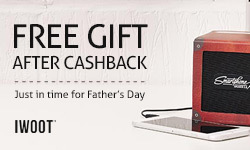 Members can treat their dad knowing they’ll be given up to £10 cashback! We hope you are well and you had an eventful weekend. This week we've got a new member deal live which may appeal to those of you with a big female following. As always, it would be awesome if you could promote us. Please see below for more details. 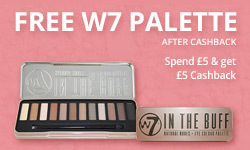 All new members have to do to claim their free W7 eye shadow is follow these four easy steps! Members make themselves look great knowing they’ll be given up to £5 cashback!